Filled with pictures and tales of amazing tacos in LA county, The Taco Hunt has always called to me across hill and dale during lonely (taco-less) seasons I spend on the east coast. But now I can make use of the great compendium of Taco knowledge, especially the 2 year anniversary post here. The author ‘Bandini’ also has many photos on his Flickr account. 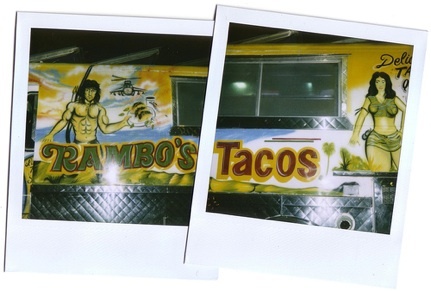 I’m a big Fan of the airbrush art on the sides of Taco Trucks. This photo by Matt Logelin gets it right. 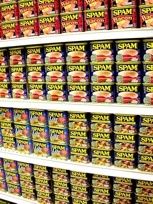 In more Food Related news, the 30 Days of Spam internet superhero made it. Read his internet serial of Spam concoctions over the spam of what looks like a beautiful month.